Ros Williams was responsible for organising and hosting a High Tea education session and fundraiser on Sunday 7th May. Ros is a Breast Care Nurse at Norwest Private Hospital and works with many Breast Cancer Patients. Ros works with Dr Farid Meybodi who is also one of our experienced Breast Surgeons at Westmead Breast Cancer Institute (BCI) based at Westmead Hospital. He completed his Breast Surgical Fellowship at Westmead and continues to perform Breast surgery and participate in Multidisciplinary Case Conferences. Ros further explained, “Dr Meybodi kindly attended this event to educate women on breast health and awareness. The invaluable information presented was very much appreciated by the women”. Due to the wonderful success of the day, $3,000 was raised with $1500 being donated to Westmead Breast Cancer Institute (BCI) and $1500 to The McGrath Foundation. 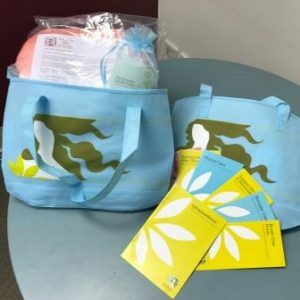 The funds received by the BCI will help support the provision of BCI Breast Cancer “patient discharge packs” which BCI prepares with the assistance of volunteers and we ensure packs are distributed to the women of Western Sydney whether they are treated in the public or private hospitals. Invitations for other support services such as Look Good Feel Better, YWC Encore A BCI Pink Ribbon and Cancer Council contact card. We take this opportunity to thank everyone involved for their support!